The Pittsburgh Post-Gazette highlights efforts to maintain a balance of affordable housing in gentrifying areas of Pittsburgh. The article, entitled “Push for affordable housing targets trendy Pittsburgh neighborhoods,” outlines initiatives by three local nonprofit developers to maintain housing opportunities for middle-income tenants in the face of rapid gentrification. Writing about Lawrenceville, the article focuses on a limited equity land trust. Covering Oakland and East Liberty, the article focuses on two other nonprofits, which are managing and developing affordable units using the Low Income Housing Tax Credit program. The nonprofit would own the land while selling the homes at affordable prices to people who earn 80 percent of the area’s median income. For a family of four, 80 percent is $55,000. These homeowners would have the same rights and responsibilities as people with traditional mortgages; they just wouldn’t own the land. They would make a small lease payment per month for use of the land. Lawrenceville Corp. would manage subsequent resales to ensure that the next buyer makes 80 percent of the area median income. The sellers would reap the principal they paid and their down payment. They also could keep whatever increase comes from the sale based on increases in the area median income. The idea is that the institutional land ownership serves as a buffer against either runaway speculation that could drive prices out of reach of middle-income households or market crashes that could cause owners to lose home equity. The city has also been a partner in several deals designed to preserve affordable developments threatened by gentrification. Mayor Peduto’s administration intervened to preserve affordable units that will be on the border between downtown, where new commercial development is taking place on the site of the old Civic Arena, and the Hill District, a traditional African American community. Similarly, Mayor Peduto’s administration intervened in the conversion of Penn Plaza into upscale rental. In the midst of the rental housing boom, it is pretty clear that a rising tide doesn’t lift all boats. 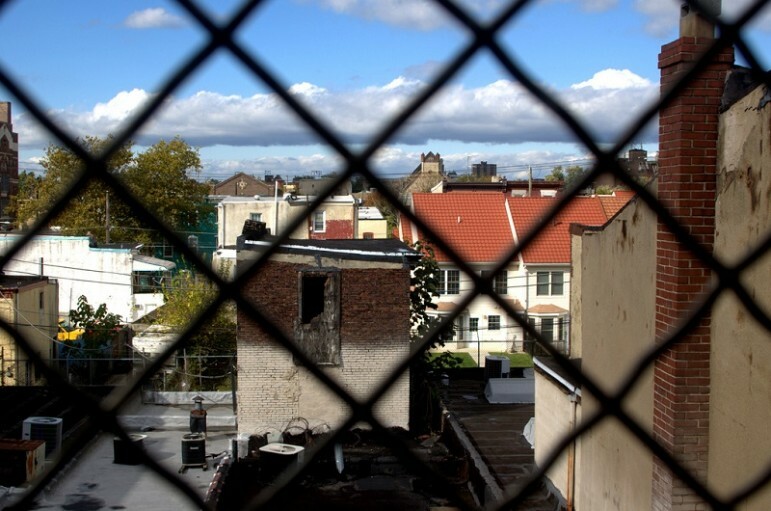 Without interventions by community-based nonprofits in cooperation with local governments, low- and moderate-income renters will be squeezed out of developing areas. Cincinnati provides another example of how local efforts to maintain the balance between traditional residents and newcomers run up against almost overwhelming forces of change. The Cincinnati Enquirer reports on the evolution of the Over the Rhine neighborhood into a mixed income community in the article, “Here’s how OTR housing has changed.” Key to preserving affordable housing in the OTR community has been a strong nonprofit organization, Over the Rhine Community Housing (OTRCH), which has struggled for decades to preserve existing housing with subsidies for low-income families as younger more affluent residents came into the community. Despite OTRCH efforts, the Enquirer article reports that the number of affordable units fell from 3,235 units in 2002 to 869 in 2015, according to Mary Burke Rivers, executive director of the community-based developer Over-the-Rhine Community Housing, which provides 425 units of affordable housing. In Pittsburgh, neighborhood-based efforts are complemented by efforts city- and statewide to expand affordable housing opportunities. Over the past several months, NPQ has featured stories about the expansion of Low Income Housing Tax Credits, the enactment of “source of income” protections for housing choice voucher households, and a proposal to use HCV funds to promote low income homeownership in foreclosure distressed neighborhoods. That level of public sector commitment is not so evident in neighboring Ohio, where the leases of thirty-some tenants at Bryden House were terminated at the end of January after the building owners were released from an affordability agreement with the Ohio Housing Finance Agency. Their former homes are already being marketed on Craigslist to students and young professionals.